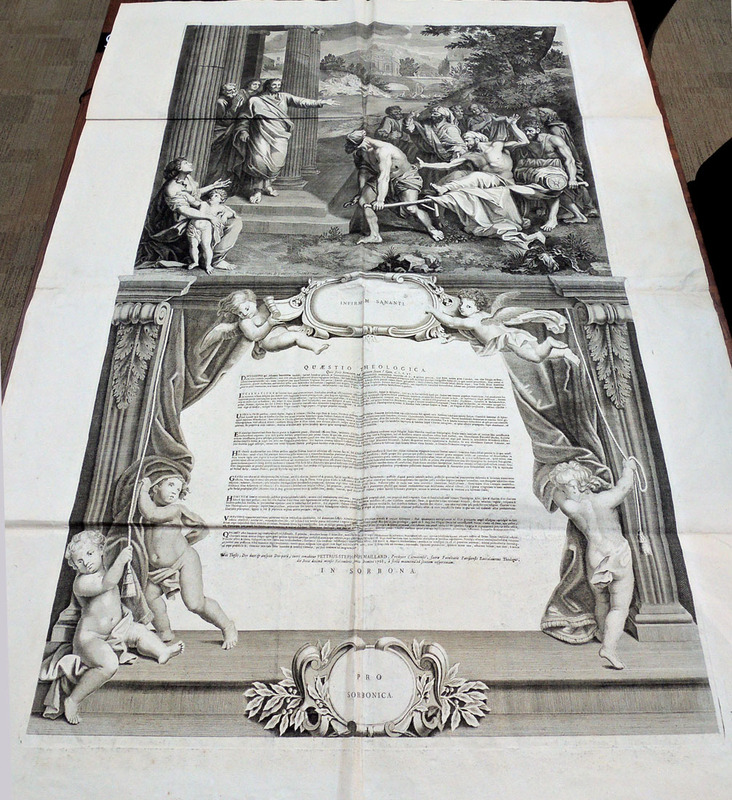 The Graphic Arts Collection recently acquired two spectacular, previously unrecorded Sorbonne thesis broadsides, one from 1768 and the other 1769. 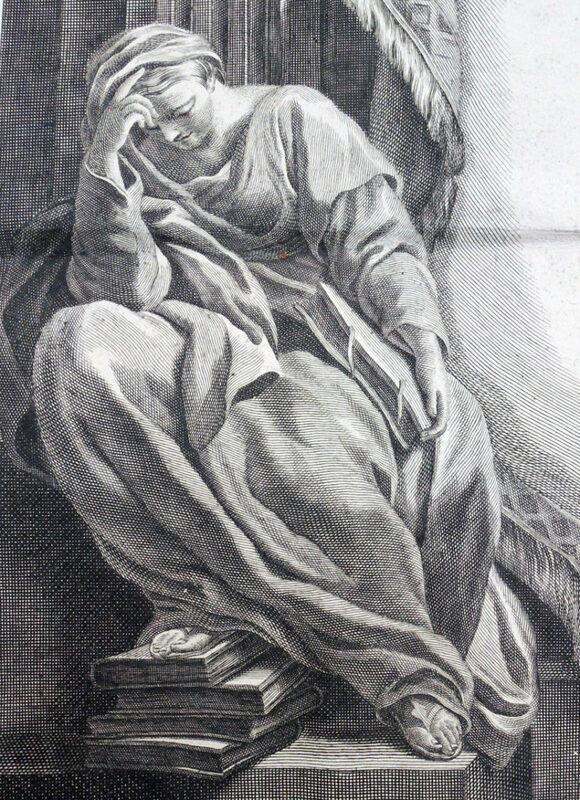 Both are published by Robert Hecquet (1693-1775) announcing the defense of two doctoral dissertations at the Faculty of Theology of the Sorbonne. These monumental engravings would have been posted on the walls of the school to announce the pubic defense of the student’s thesis. For each, two large sheets have been pasted together with the individual plate marks approximately 53 x 68 cm at the top and 54 x 70 cm at the bottom. The top print features an allegorical scene and the bottom the text of the thesis, so the size varies according the the length of the text. 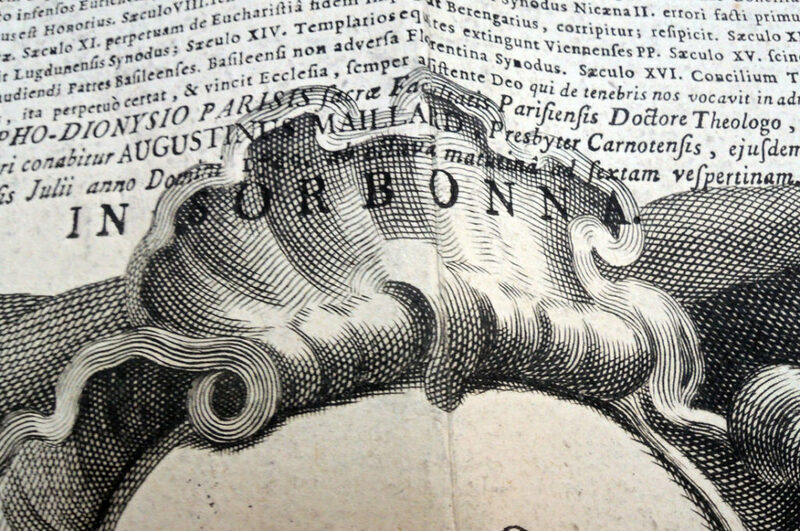 The first from 1768 was created for Pièrre-Etienne Maillard, responding to the question: “Quaestio theologica: Quis fecit hominem ad imaginem suam? Gen. c. 1. v. 27 “So God created man in His own image; in the image of God He created him; male and female He created them”. The second from 1769 lists Augustin Maillard as the respondent, with his subject “Quis de tenebris nos vocavit in admirabile lumen suum? 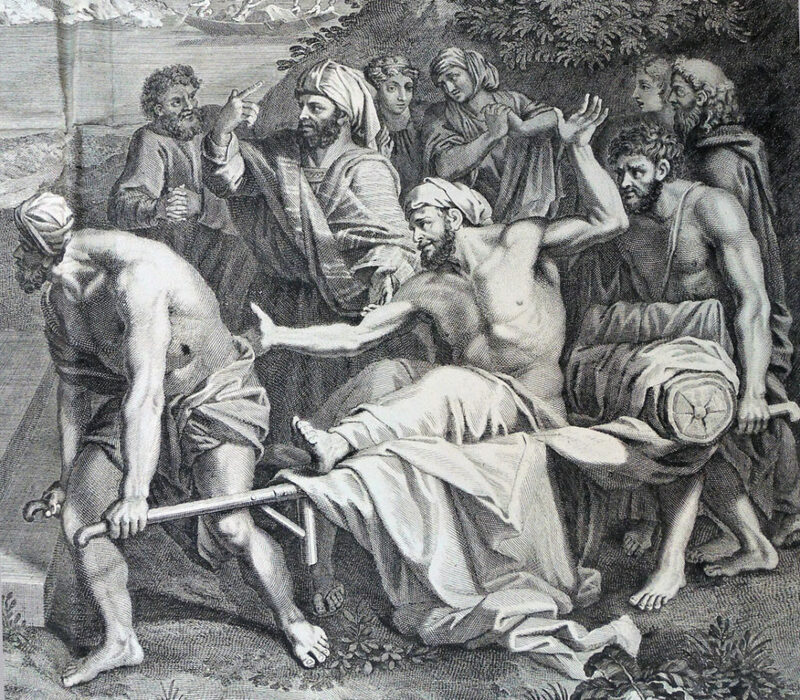 from Peter c. 2.v. 9 “But ye are a chosen generation, a royal priesthood, a holy nation, a peculiar people”. 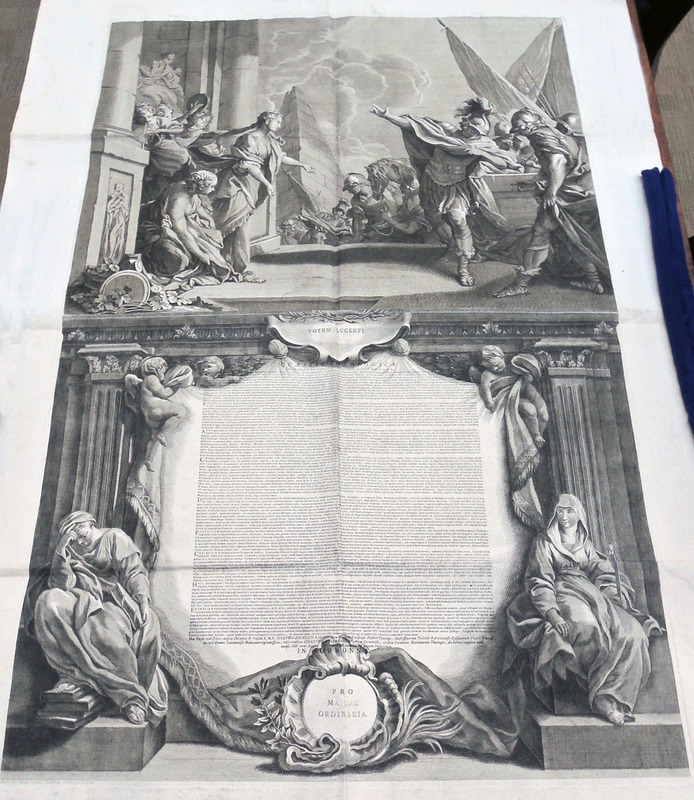 We are fortunate to have the name of the artists responsible for the second engraving inscribed: “Boucher pinx,” and “Hecquet excudit,” at the bottom of the top sheet. This refers to the extraordinarily talented painter and printmaker François Boucher (1703-1770), who was to the end of his illustrious career. Only four years earlier, he had been appointed to the two highest positions in the French arts establishment: first painter to the king and director of the Royal Academy. 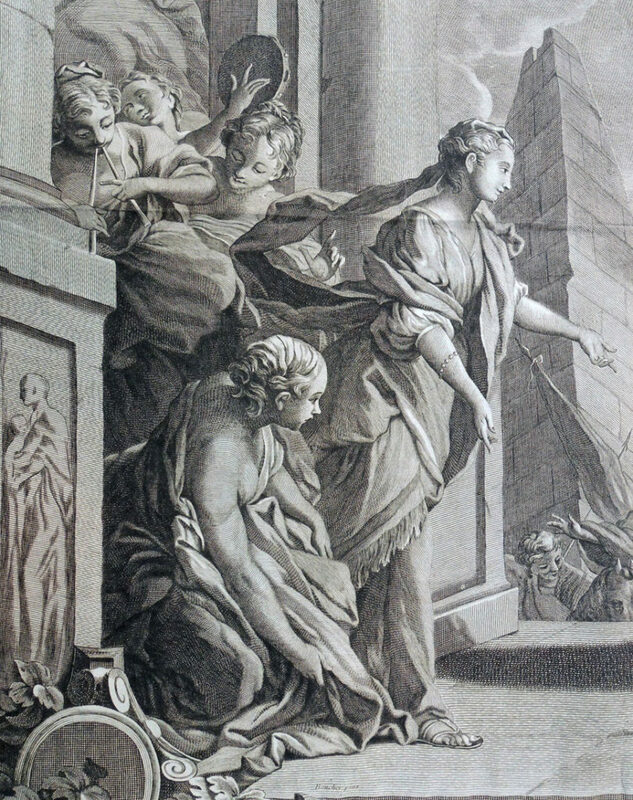 Unfortunately, the inscription on the 1768 engraving is cut-off: “à Paris chez Hecquet place de Cambray à l’Image St. Maur.” One might assume it is also the work of Boucher, but there is no proof. This entry was posted in Acquisitions, prints and drawings on March 14, 2018 by Julie Mellby.